It happens every year: the summer sun lures us into Portland's great outdoors. We go rafting, biking, and hiking, and we almost forget what it feels like to be cold and damp all the time—and then, as quickly as it came, the sun vanishes. While we can't help you with your vitamin D withdrawal, we can help make the transition to the rainy season a little easier with these indoor workouts, guaranteed to satisfy a Portlander's taste for adventure. If you’ve been practicing yoga outside all summer, you might feel cramped in the confined space of a yoga studio. Mix up your routine with the A-WOL Dance Collective, where you’ll wrap yourself in swaths of fabric suspended from the ceiling and try out some aerial yoga or dancing. Even if you’re totally uncoordinated, you’ll be in the air and showing off in no time. We know the rain won’t stop a true Portlander from biking to work, but it may deter you from recreational riding. If you want to get your biking fix in without getting drenched, try indoor mountain biking at the Lumberyard. You might not get to take in the sights and sounds of Oregon, but you will get to practice your sweet tricks. Plus, there’s a pub right in the building! What bike trail has that? Are you bummed out because your kickball league is on hiatus for the winter? Don’t fret! You can still enjoy your favorite sports from middle school gym class—with a twist. 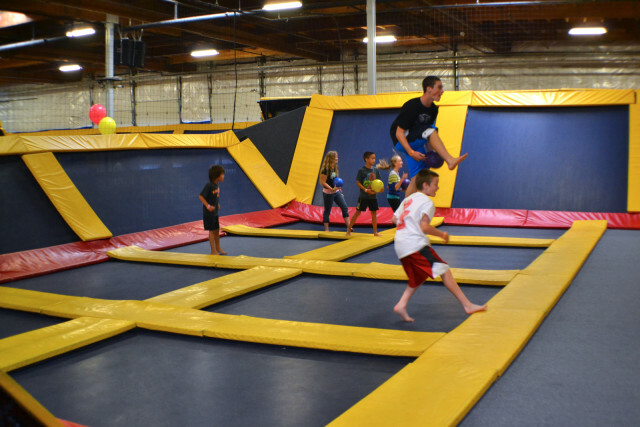 At Sky High Sports, the floors and walls are made of trampolines. You can join in a game of trampoline dodgeball, or simply jump around to your heart’s content. Either way, your inner child will thank you. You can keep your mountain climbing skills sharp during the rainy season by practicing at The Circuit, an indoor bouldering gym. The walls are low to the ground, so you don’t need a harness, but that doesn’t mean it’s easy. You’ll still get a great workout and an adrenaline rush, without the risk of a 127 Hours-esque mishap. You may never have heard of this indoor variation of soccer (which was developed in Uruguay and Brazil), but it’s popular enough that there are now two competing futsal complexes in Portland. In futsal, everything is a little smaller, and the emphasis is on dribbling and passing rather than booming kicks that send the ball across the field. Check out the newly-opened Rose City Futsal Clubhouse and see what all the fuss is about.